I can finally wear eyeshadow! My skin problems are starting to clear up, which means that I can play with makeup again. 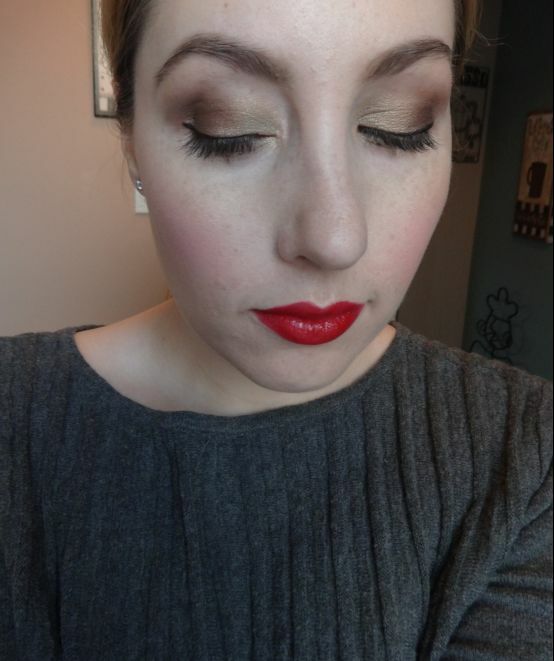 Today’s face of the day features a red lip, which I am always afraid to wear, because I never know how to balance it out with the rest of my look.